In honor of the start of the 2015 Tour de France, I thought I’d look for some fun, Tour-related trademark applications and registrations. The Societe du Tour de France owns applications and registrations for marks related to the Tour. For example, registrations include TOUR DE FRANCE for “Entertainment Services-Namely, Organizing and Conducting Races and Sporting Events” and TOUR DE FRANCE for “Books, namely, official books in the fields of tourism, history and bicycling, photograph books, souvenir books in the fields of tourism, history and bicycling and pop-up books in the fields of tourism, history and bicycling”. for use with various types of clothing. And, wine! The Societe owns LE TOUR DE FRANCE for use with “Alcoholic beverages except beers, namely, wines, champagnes, liquors and distilled spirits; alcoholic extract of essence”. 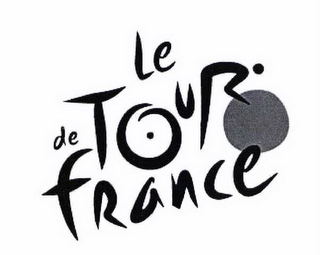 Raise a glass of LE TOUR DE FRANCE wine in celebration of the start of one of the greatest sporting events!